Sometimes I jokingly describe myself as a recovering Southern Baptist. I’m only half joking. The Baptists I grew up with were fine, down-to-earth folks who loved Jesus, helped one another, and tried to live right. Once I joined the staff of the NC Baptist Convention (a denomination of over 4,000 churches and over million members) I met some even better Baptists and a lot of worse ones. My take is that many Baptist leaders say they are “conservative” theologically, but it turns out their conservative theology is actually a political calculation. Baptists at their worst use religion as a means toward political ends – with “political” meaning getting and keeping power. Many of the Baptist leaders I met during my time with the NC Baptist Convention were narrow-minded bigots who thumped the Bible to a tune that would resonate with the masses and get the leader more followers but which was often out of tune with the actual teachings of Jesus and larger biblical witness. Among Baptist leaders, getting more followers often trumps theological soundness. The most blatant example of this I can recall came near the end of my time with the NC Baptists. During our annual convention, I stood on the platform in 2006 while one of our elected officials preached a sermon of hate and violence toward the nation of Iraq and its people. The message was that God hates those people and we should hate them and send our soldiers to kill them. Thousands of people sat and listened and many of them cheered. Rather than lead them toward Jesus, this “leader” spoke to their basest inclinations in order to shore up power for himself. I nearly threw up. To get a good feel for what makes Moore special, notice the difference between him and someone like Jerry Falwell Jr., the President of Liberty University. Falwell courts the politicians and tends to support that which is popular among his constituents instead of that which is theologically sound. Falwell backed Donald Trump for President while Russell Moore admitted that he couldn’t support Trump or Clinton because his Christian convictions wouldn’t allow him to do so. (update: NPR recently noted how some Southern Baptists want Moore fired because of his anti-Trump stance). Falwell has political aspirations that are served by stances masquerading as Christian conviction. Moore has true Christian convictions that inform and guide his political stances. We need more leaders like Moore and fewer like Falwell. Even when I don’t agree with a stance Moore takes, I appreciate that it is a sincere, thoughtful Christian conviction. I also appreciate that he’s willing to deal with the consequences of tough stances instead of trying to hedge his bets and spin his opinion so it’s more palatable to as many people as possible. 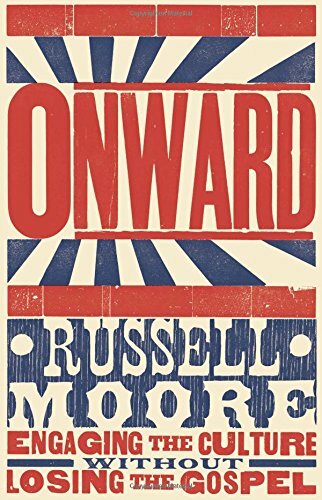 If you want to know more about Moore, check out his book Onward: Engaging the Culture without Losing the Gospel.